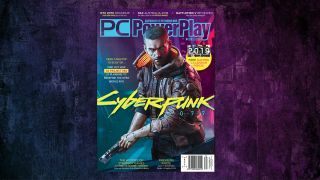 PC PowerPlay issue 274: Cyberpunk 2077 - OUT NOW! PLUS: The history of strategy games, RTX 2070 group test, and the best indie games! This issue we're looking 20 minutes... no, wait, that's Max Headroom. We're looking a few decades into the future, with our in-depth impressions and interviews on CD Projekt Red's Cyberpunk 2077. And for old school fans, we even delve into the game's history as a tabletop RPG! We also catch up on the cheapest iteration of Nvidia's new RTX video cards with our 2070 roundup. They're still costly, but are they worth it? Plus we review Battlefield V - and its much-vaunted ray-tracing performance, go hands on with Souls-lite RPG Ashen, and take a long hard look at the history of strategy games in the first part of a massive feature. Reviewed: Battlefield V, Frozen Synapse 2, Pathfinder: Kingmaker, Bad North, and more. Hardware: Nvidia GeForce RTX 2070 roundup, ThermalTake Level 20 ARGB case, Razer Mamba Wireless mouse, to name a few. Retro: Syndicate - the original cyberpunk classic!